Located at the west end of The Dow Event Center, The 25,000 sq. ft. The Dow Event Center Arena can hold up to 7,600 people. The layout of the Arena can be changed and altered to host most any kind of event. The Arena has hosted events like WWE Wrestling, The Harlem Globetrotters, PBR and Monster Jam. 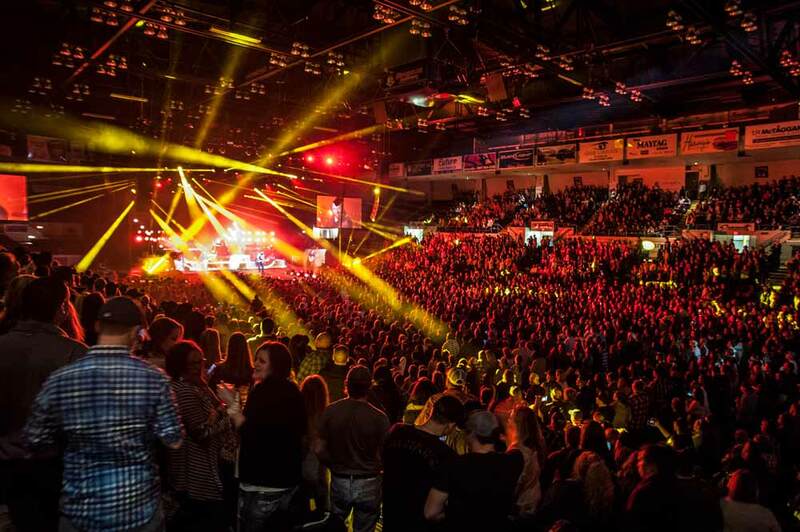 It has also accommodated many national performing artists such Bob Seger, Brad Paisley, Nelly, Martina McBride, Kid Rock, Carrie Underwood and many more, as well as, family shows like Sesame Street Live, the Shrine Circus and Disney on Ice! The Dow Arena is also the proud home to the Saginaw Spirit Hockey team (Mid-Michigan’s OHL franchise). The Dow Event Center Arena hosts thousands of fans all season long with 32 entertainment packed home games. In addition, the The Dow Event Center Arena is available to be rented out for private use as well. The Arena serves as a great place to host seminars, job fairs, bridal shows and conferences. The ice can also be rented out for private use along with its multiple locker rooms. Whether you are looking for a place to host skating parties, extra hockey practice, game slots or tournaments, the The Dow Event Center Arena is the perfect place! We are renting ice this upcoming season. If you are interested in hosting a skating party, extra hockey practice times, game slots or just some extra ice, please contact us for more information at 989-759-1320.